ZIP Scripts Tupelo is born! Always FREE DELIVERY with your Prescription. Transferring is easy! Call 662-620-6400 TODAY. DISCLAIMER - This website is for the use of ZIP Scripts® Customers only. 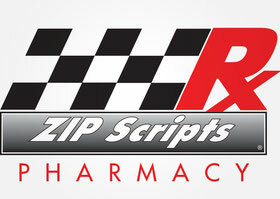 The products mentioned herein are trademarks of their respective owners and are not owned by or affiliated with ZIP Scripts®. Information provided on this website is for general purposes only. It is not intended to take the place of advice from your practitioner. You should read carefully all product packaging and follow the instructions. Information and statements regarding dietary supplements on this site have not been evaluated by the Food and Drug Administration and are not intended to diagnose, treat, cure, or prevent any disease. Copyright © 2012 ZIP Scripts® all rights reserved.